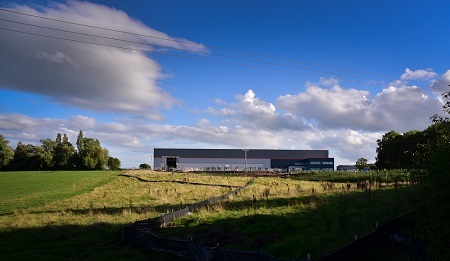 The expansion of Winsford Industrial Estate continues with the Council and Public Sector Plc gaining planning approval to develop a new area of land on the site. Work is scheduled to begin this month to remove trees and shrubbery on 25 acres of land opposite Tiger Trailers’ new manufacturing facility on Road One. Once the land is cleared, work can begin to make the land suitable for construction work and to provide new business premises for the organisations queueing up to be part of this ongoing success story. site three is circa 17 acres, accommodating commercial uses across 250,000 sq ft. The latest work is part of the overall masterplan for the site, which will also include improvements to the existing roads and the addition of extra roads to improve the transport links to the estate. Pete Price, chairman of the Winsford 1-5 BID, said: “This development is great news for the local area which continues to develop and change the landscape of our business area. The Industrial estate has diversified over the years and has businesses now not only in manufacturing processing and distribution but numerous other sectors of business. The Council, Public Sector Plc and Cheshire and Warrington Local Enterprise Partnership have been working in partnership to develop this important and strategic employment site. The five year scheme will boost economic growth and help the town to prosper.